FAYETTEVILLE, Ark. 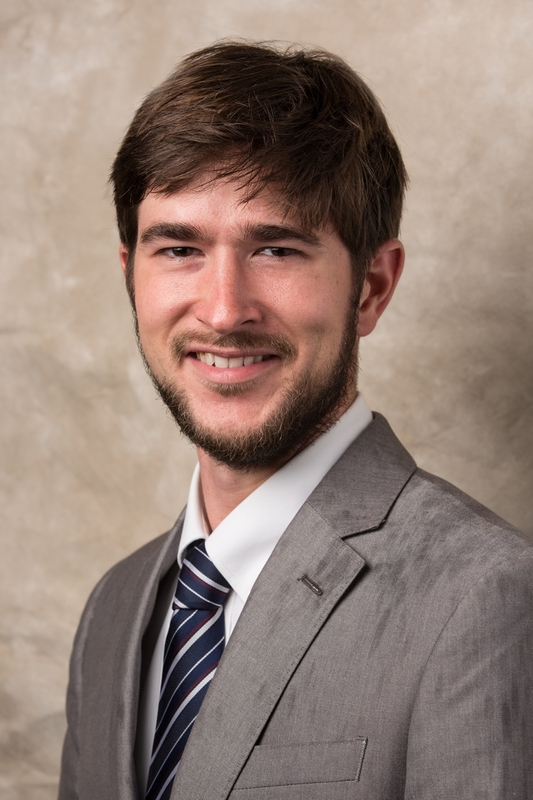 – Nicholas Linn, a second-year law student, recently returned from a five-day trip to Singapore as part of his work in the University of Arkansas School of Law's Human Trafficking Clinic. Linn and two other students enrolled in the clinic are assisting with litigation on behalf of five Nepali migrants who allege they experienced labor trafficking and were taken across international borders to work on a United States military base in Iraq. The case, Civil Action No. 4:16-CV-2478, was filed in 2014 in the U.S. District Court in the Southern District of Texas. Linn's plans after graduation include civil rights advocacy, and this opportunity allowed him to work on complex transnational litigation with leading human rights attorneys. His duties during the trip incuded helping to prepare several of the clients for their depositions by opposing counsel. "It was an invaluable learning experience," Linn said. "The attorneys on both sides of the case took time to explain general litigation strategies and give practice tips for our future careers. Assisting with witness preparation and observing different questioning techniques from attorneys at top law firms is the kind of practical experience impossible to get from the classroom alone." "Service learning through clinics, externships and pro bono are critical to legal education," said Margaret Sova McCabe, dean of the law school. "We are thrilled that Nick was able to have this experience. He is a great ambassador for the University of Arkansas and will be an asset to the legal profession." The trip also allowed Linn to meet his clients face-to-face. "Our clients in this case are from Nepal, and it was wonderful to meet them and hear their stories in person," Linn said. "We were delighted to have Nick with us in Singapore, said Agnieszka Fryszman, lead counsel for plaintiffs. "Nick played an active role in helping prepare our clients for their depositons and had drafted background legal memos on key issues, including on how to handle the attorney client privilege and work product issues that we anticipated coming up. Our clients enjoyed meeting him in person and appreciated the hard work the clinic has been doing to help with the case." Fryszman is a Partner at Cohen Milstein and chair of the firm's Human Rights practice group. She has been recognized as leading one of the best private international human rights practices in the world. Cohen Milstein, one of the primary firms in the U.S. handling major complex plaintiff-side litigation, has more than 90 attorneys working from offices in Washington, D.C.; New York; Philadelphia; Chicago; Raleigh, North Carolina; and Palm Beach Gardens, Flordia. "Nick is a terrific example of the tremendous professional experience that students can gain though our legal clinics," said Annie Smith, associate professor of law and founding director of the Human Tafficking Clinic. Students in the Human Trafficking Clinic apply their legal education to confront and combat human trafficking and seek remedies for survivors. In previous semesters, students have engaged with a variety of in- and out-of-state partners such as the Human Trafficking Pro Bono Legal Center based in Washington, D.C., Los Angeles-based Coalition to Abolish Slavery and Trafficking, Magdalene Serenity House in Fayetteville, Legal Aid of Arkansas, the Northwest Arkansas Workers' Justice Center and Catholic Charities of Little Rock. For more than four decades, the University of Arkansas Legal Clinic, an umbrella for multiple clinics and practice areas, has given law students hands-on skills training by representing real clients in real life legal situations and has provided free legal services to clients throughout Arkansas and beyond. Clinic students practice law under the close supervision of a full-time faculty member. Law students interested in enrolling in fall semester legal clinics must apply by 4:30 p.m. Friday, March 15. Please contact Audrey Briggs (479-575-3056 or aabriggs@uark.edu), legal clinic office manager, with questions about the application process.